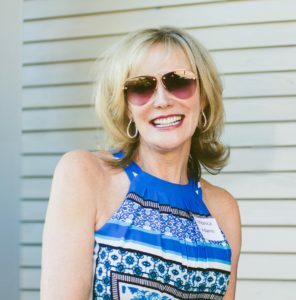 Since 2005, the Barbara Frederick Award for Vision & Leadership has been bestowed upon an individual who exemplifies the outstanding qualities which Barbara brought to Cancer Lifeline during her tenure as Executive Director: a passion for service to others and a keen insight into what cancer patients and their families really need to prevail. For more than 5 years, Monica Adams has been a dedicated volunteer at Cancer Lifeline, serving on our Advisory Board and as co-chair of our annual dinner, Resources for Hope. In addition to her lively spirit, Monica possesses a forward-looking vision and recently has taken steps to help secure Cancer Lifeline’s future with a significant gift. Along with a gift from Patricia and David Giuliani, Monica has made it possible for us to remain in our Green Lake home. She has inspired those of us in the cancer community with her endless kindness, curiosity and her passion for service to all people impacted by cancer. The first thing you notice about Monica Adams is her fabulous smile. And once you meet her, you become instant friend’s, her enthusiasm for life is so exuberant. It’s only been a few years since she first joined us as a guest at an event but she’s already become a devoted stakeholder and passionate advocate for people living with cancer. Her leadership was pivotal as she joined David and Patricia Giuliani to contribute funds for much-needed building improvements. Together, these gifts have assured that Cancer Lifeline can remain in the Dorothy O’Brien Center. Recently we asked Monica a few questions about her commitment to Cancer Lifeline and her role as an active philanthropist. Q: When did you first get involved with Cancer Lifeline? MA: In 2016 I was a guest at the Resources for Hope dinner at Lynn Behar’s table and I was so deeply moved by the intimacy and personal touches and stories presented that the evening. It wasn’t long before I was swept up by the Advisory Board and in 2017 and 2018 I co-chaired the event. Q: What’s the best part of your role with the Resources for Hope event? MA: It’s wonderful getting to know the variety of people in the community. As we create the event and generate interest and support, we have the opportunity to spread the word about Cancer Lifeline’s work. There is a longevity of support for Cancer Lifeline that is remarkable. To witness the depth of generosity and compassion of these people is humbling. Q: Why is it important to give to an organization to Cancer Lifeline? MA: Cancer Lifeline is based in Washington State and its programs make a big difference in the lives of Washington residents. The Patient Financial Assistance Fund provides critical and timely financial assistance to our low-income clients and the new Patient & Family Support Fund serves ALL people living with cancer: patients, survivors, family members, friends, and co-workers. Cancer Lifeline’s programs radiate beyond the loving Green Lake headquarters on Fremont Avenue throughout our growing hospital partnerships. I wanted Cancer Lifeline to not have to worry about office space and be able to concentrate on reaching even more people living with cancer.